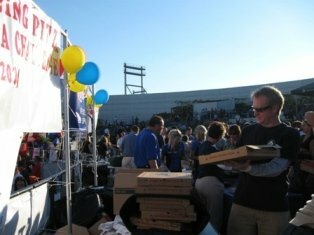 Local food events are a great way to build brand recognition. I've talked with countless pizzeria operators over the years. One of the standard questions I always ask them, since PMQ is a magazine dedicated to pizzeria marketing, is, "What has been your most successful form of advertising/marketing?" As you read this, you may be saying the same thing most of them say, "word of mouth." 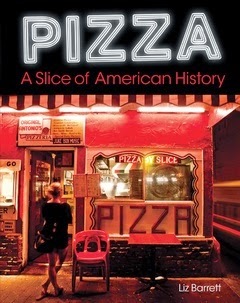 But unless you own a historic pizzeria, more often than not, there's more to it than that. PMQ's publisher, Steve Green, would always tell me, "Don't let them get away with telling you 'word of mouth' is their only form of marketing; there's more going on beyond word of mouth." And he's right. While word of mouth is definitely a huge factor in bringing customers into most pizzerias, word of mouth doesn't usually happen independently of outside influences, and it's often not the original reason customers end up in your restaurant. Usually, when I dig a little deeper, operators begin to talk about charity drives they organize, sports teams they sponsor, monthly dinners they hold, etc. In the end, these promotions all result in a lot of "word of mouth," but they started with an organized marketing effort. I asked my Blog Advisory Board to weigh in on some of the ways they see pizzerias market/promote/advertise their businesses, and here's what they had to say. California Pizza Kitchen made news recently when it introduced wine flights, new craft beers and something the company is calling a "Diet Pepsi mixology program" (unique Pepsi/juice/fruit combinations). CPK has offered alcohol on its menu since the '80s, but this fun new way to experience the pizzeria's beverages accommodates everyone--wine drinkers, beer lovers, and those interested in nonalcoholic beverages. 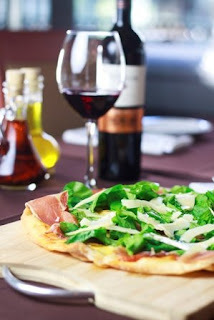 The idea of pairing food with wine and beer is not new, but the trend is really picking up steam in pizzerias as operators see how popular wine- and beer-pairing nights are with customers. If you serve alcohol, consider hosting a pairing night once a month, creating a pairing guide to include in your menu, or designing wine/beer flights that are complementary to your dishes. Below are a few pizzerias that are finding success with the pairing trend. Sal & Mookie's in Jackson, Mississippi, regularly holds beer pairing dinners in which they present five courses, each paired with a different beer from a local brewery. The dinners are a set price, reservations are required, and they always sell out. Bertucci's, with locations throughout the northeast, created a custom Art of Pairing menu by working hand-in-hand with Samuel Adams to choose brews that would pair well with specific pizzas on its menu. Pizzeria Paradiso in Washington, D.C., recently hosted an Italian Craft Beer Dinner, pairing six craft beers with a six-course dinner for $65 (including tax and gratuity). Flying Pie Pizzaria in Boise, Idaho, takes the guesswork out of pairing by listing a beer and wine pair next to every pizza on its menu. Frasca Pizzeria + Wine Bar in Chicago, offers its customers pizza cooking classes, which include instruction, pizza and two glasses of wine for $30. Are you doing something interesting with beverage pairings? Let us know in the comments section below. It's Friday, and we've covered some pretty heavy topics this week so far. Why not take a break and enjoy one of my favorite topics--food! For years you've known me as the girl who's crazy about pizza. 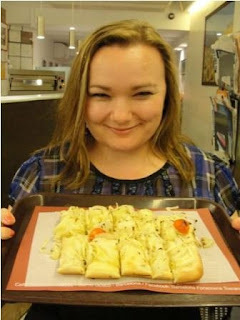 Several of you have even seen my love of pizza in action while touring pizzerias in cities near and far (I'm not ashamed!). Here's the thing, though. I'm not just about the pizza. I'm an equal opportunity foodie. Here's a little secret...when I'm visiting a city to try the pizza, I'll almost always carve out some time for three or four other types of restaurants, too. There are so many great chefs and inspiring dishes out there; I just can't resist. I encourage you to check out a variety of restaurants and see what they're doing. You could get a really cool salad idea from a Thai restaurant, a dessert idea from a Greek place, or dozens of appetizer ideas from a tapas restaurant. The ideas are everywhere! And speaking of ideas, I want to share a few of the memorable dishes I've seen (OK, eaten) at pizzerias and other restaurants recently. 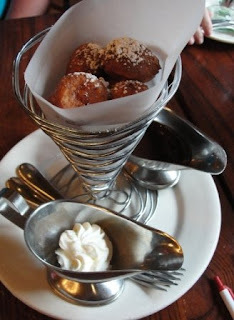 The photo in the upper left corner is a dessert from Via Napoli inside Walt Disney World Resort, Orlando, called Zeppole di Caterina--ricotta cheese fritters served with whipped cream and chocolate sauce (for some reason, I'm a sucker for anything served in a paper cone). This is a chicken lime soup that I got in Uxmal, Mexico. I've never had anything quite like it. It seems like it would be simple to recreate, with chicken stock, chicken and lots of fresh lime juice. For someone who loves lime, like I do, I loved it! If you ever run soup specials, this is one to try. The food I remember most fondly from Barcelona, is pan con tomate. This simple tapa of bread with tomato is served at nearly every restaurant in Barcelona, and I ordered it at just about every one of them! However, there was something different about how they served it at Arola, one of the restaurants inside the Hotel Arts Barcelona. It arrived at the table deconstructed, and I had the opportunity to "make" the tapa myself, rubbing the garlic into the fresh baguette, crushing the tomatoes into the perfectly crusty bread, drizzling my preferred amount of extra-virgin olive oil, and adding a dash of salt on top. There was something so cool about being able to create it myself, and it's a memory that has always stayed with me. The first time I tasted garlic knots, it was infatuation at first bite. So you can imagine my delight when I saw the words, "Wood-Fired Garlic Knot" on the menu at Milo & Olive in Santa Monica, California. And when our server told us that the garlic knot (yes, one garlic knot) could take 20 minutes to bake, I knew that something amazing was about to happen. Let me tell you, it was worth the wait. It arrived to the table larger than a softball, covered with olive oil, and filled--and I do mean packed--with roasted garlic cloves! What dishes have inspired you lately? Let me know in the comments section below. Did you find this blog through PMQ's Facebook or Twitter pages? Have you posted to your own social media pages today? A few years ago, no one had ever heard the words "tweet," "hashtag," or "friend me." Now, social media seems to be taking over, with more than a billion users on Facebook, and Twitter running a not-too-distant second. Creotivo.com recently compiled an interesting infographic (partial graphic shown here; visit the site to see full graphic), which outlines 100 Social Networking Statistics and Facts for 2012. Some of the big stats that stood out for me were that although one million new Twitter accounts are created every day, 40% of users have never sent a single tweet. I was also surprised to find out that only 34% of medium-sized, and 27% of small-sized businesses, are currently using social media. 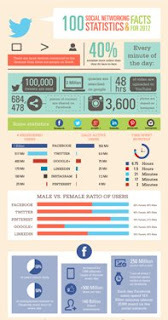 What didn't surprise me as much was the statistic that 70% of brand fan questions on social media are not responded to. It's a clear sign that while social media can be a good way to build a following, if you aren't paying attention to what your fans and followers are saying, you can end up losing customers because of it. So, how do you keep up with it all? Once you have a presence on social media, is it a requirement that you send out 30 tweets a day and glue yourself to Facebook? Of course not. But, just like anything else, you can't let the cobwebs collect, either. I asked around to find out some opinions on the importance of social media in the pizzeria, and here's what I found. Welcome to The Pizza Insider! 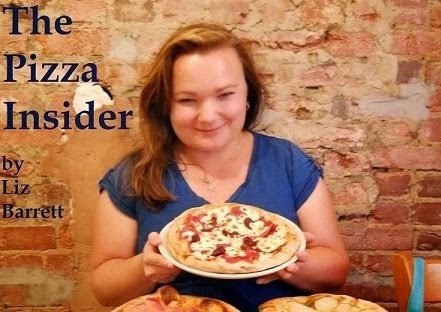 Welcome to the first installment of PMQ's new blog, The Pizza Insider. As PMQ's former editor-in-chief and current editor at large, I've been entrenched in the pizza industry for seven years, and have loved every slice of it. Now I'm on a mission to bring you the latest tips, trends and technologies making waves in the industry. PMQ brings you the information you need on a monthly basis through the pages of PMQ Pizza Magazine, weekly through our Wednesday e-newsletter, and online with The Pizza Insider. I also want to take this opportunity to introduce you to The Pizza Insider Blog Advisory Board, made up of many of the experts we've worked with over the years. They'll be lending feedback along the way on issues that affect the entire industry. I look forward to taking this new journey with you. Along the way, if you have any topics you would like to see explored, please contact me anytime at liz@pmq.com.